The swimmer whom I have been looking out for is Dara Torres who continues competitive swimming at the age of 41, won the silver medal in 50m freestyle at the Olympics losing out to a much younger German Britta Steffen. Dara Torres returned to competitive swimming in year 2000 after 8 years of retirement. One of her secret weapons was resistance stretching invented by Bob Cooley — the flexibility regiment. For her, age is just a number and not cap limit on one’s dream and aspiration. She has set precedence for women to remain in competitive swimming inspite of age and family responsibilities. She has a 15-month-old baby and receiving quality time training for the Olympics. The woman I most admired is one who is not pretty but she is a beauty every sense of the word. 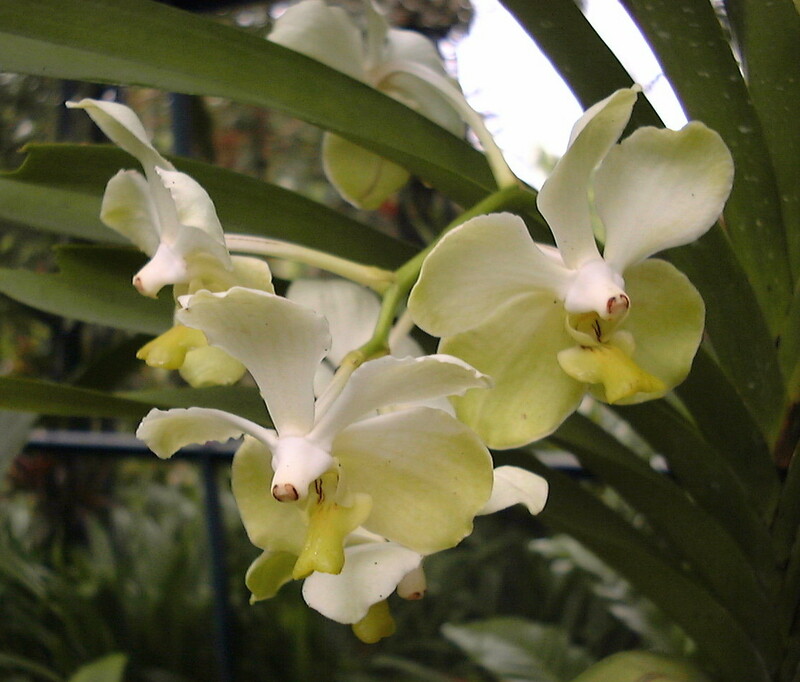 I have a photo of an orchid hybrid named after Madam Kwa Geok Choo. Since young I was most impressed during major elections, Mrs Lee Kuan Yew would be found unobtrusively standing at a distance watching and supporting her husband quietly. She never made herself known or came to the foreground. At Cambridge University, she top the roll at Law school among the women. She has her own law firm while taking care of 2 sons and a daughter. I have on occasions seen her taking care and doting on her first two grandchildren when they were very young. I do not know her personally but she has caught my eyes since my teen years. Recently on blogtv we were asked “Is Singapore ready for a woman prime minister?” Well my response is we certainly do need women who can stand by their husbands in every walks of life.